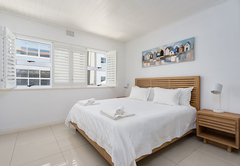 Sandringham 54 is a property providing self catering in Mouille Point for up to 4 guests visiting the Atlantic Seaboard region. 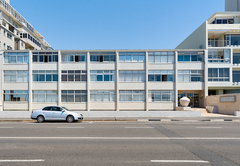 Set in the trendy area of Mouille Point, Sandringham 54 offers accommodation in a lovely open plan studio apartment. 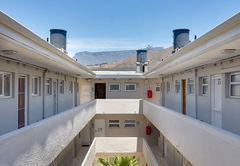 The apartment has secure, underground parking and there are laundry facilities in the complex. 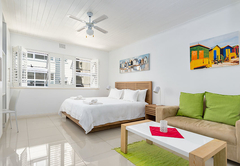 The self catering studio is furnished with a King-size bed and has an additional single camper bed. The separate bathroom has a shower. Bed linen and towels are provided. 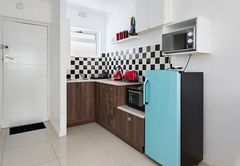 The open plan living area is bright with a comfortable couch, three seater dining table and the kitchen has all the necessary electrical appliances, crockery and cutlery needed for a self catering stay. 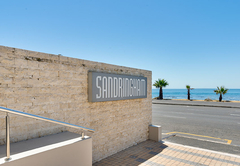 Sandringham is a five minute walk from the Victoria & Alfred Waterfront and a five minute drive from the Cape Town International Convention Centre as well as Cape Town’s CBD. 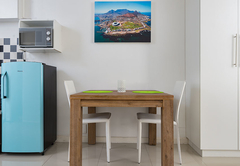 The well known beaches of Mouille Point and the Sea Point promenade areas are also within a few minutes walk. 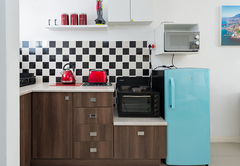 The studio is furnished with a King-size bed and has an additional single camper bed. 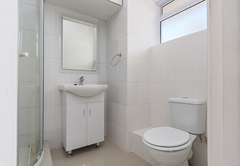 The separate bathroom has a shower. Bed linen and towels are provided.